Australian travel writer and guest blogger Julie Miller recently met Thai winemaker Nikki Lohitnavy, and found an Australian connection. When Adelaide University student Nikki Lohitnavy returned to her native Thailand after graduation, she received a surprise gift from her parents – her own winery. 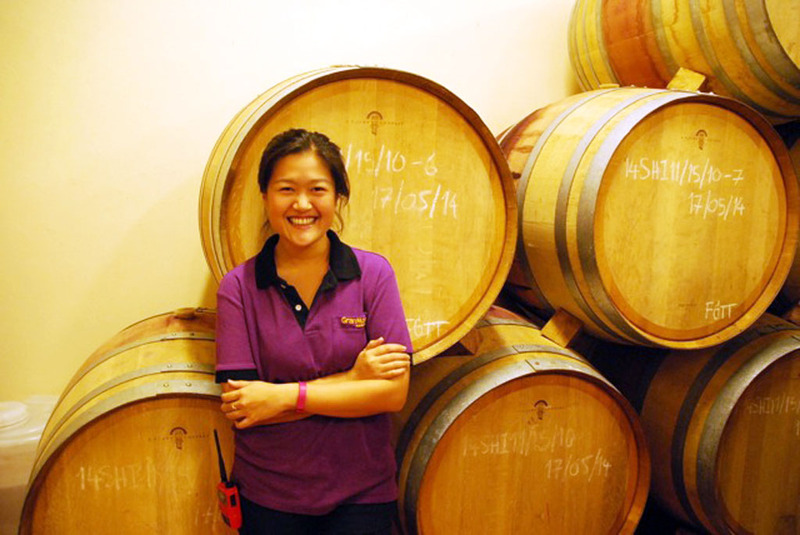 The first (and only) Thai national to receive a Bachelor degree in Oenology (with Honours in Viticulture) in Australia, Nikki is now head winemaker at the family-run vineyard GranMonte, located in the beautiful Asoke Valley in the foothills of Khao Yai National Park. “When I returned from Australia, I found all these steel tanks waiting outside. I then had to set up the wine-making facility from scratch. There are some things they just don’t teach you at university!” she jokes. Fast forward six years, and Nikki is arguably Thailand’s most respected winemaker, consulting for international vineyards as well as leading Thailand’s charge to produce world-standard wines. She is also the only female winemaker in the country, and a great inspiration for other ambitious young women. Nikki has inherited her passion for wine from her father Visooth, who first purchased the 16-hectare former cornfield in 1999. 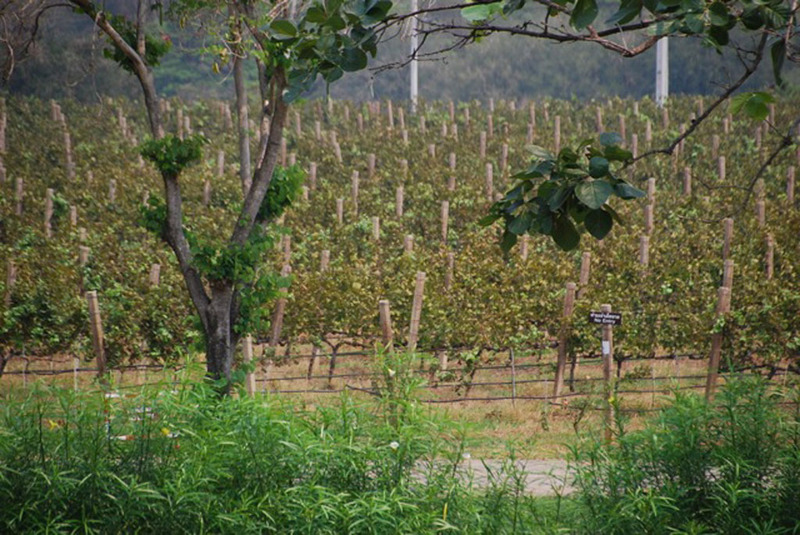 At the time, there were several small vineyards in the Khao Yai area, a Royal Project established decades earlier having already recognised the area’s potential as a wine-growing region. 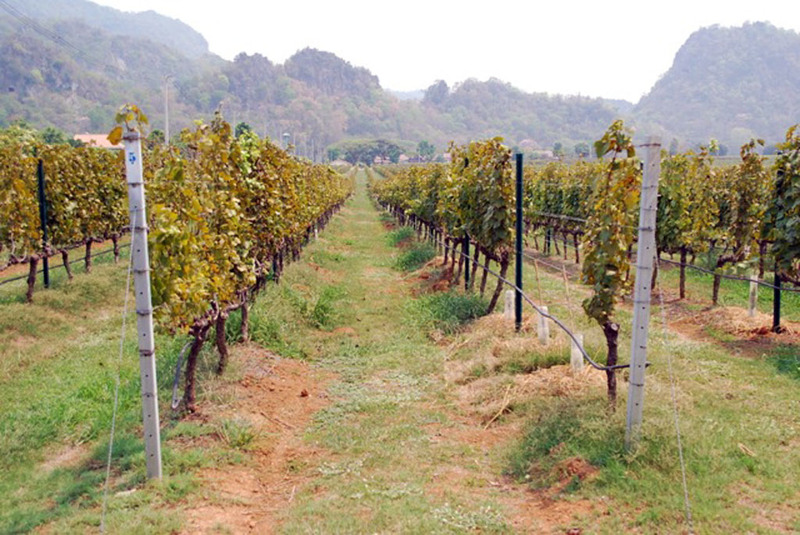 Of course, producing grapes in the tropics requires adaptation of traditional growing methods; but through experimentation, consultation and the use of a microclimate monitoring system, Visooth soon learnt what varieties would flourish during tropical storms, monsoons and searing summer heat. Things really took off, however, after Nikki returned to Thailand with internships at Browns Brothers and Wolf Blass wineries under her belt. The vineyard now has the capacity to produce 120,000 bottles a year, which it should meet within two or three years. And trust me, GranMonte makes a fine drop, from its rich, award-winning Syrah, to its light and fruity rose made from Syrah grapes, named after Nikki’s mother, Sakura. 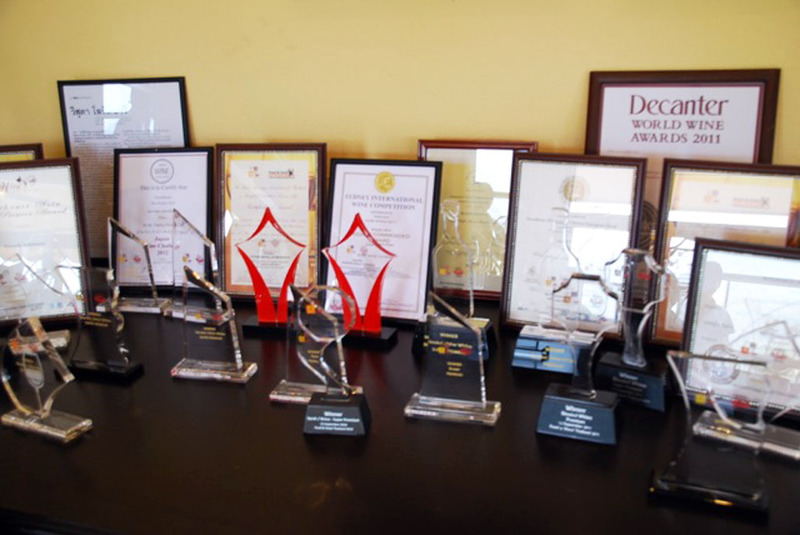 The wines have won over 100 awards in the past four years, and are the most decorated wines of Thailand. As Khao Yai has become more popular as a weekend escape from Bangkok, so the winery has flourished into a full-blown tourist operation, with a stylish cellar door and tasting room, a charming restaurant serving delicious European-style food and a guest house offering seven rooms. Sixty thousand visitors pass through the cellar doors annually, with around 10,000 of those joining a winery tour. 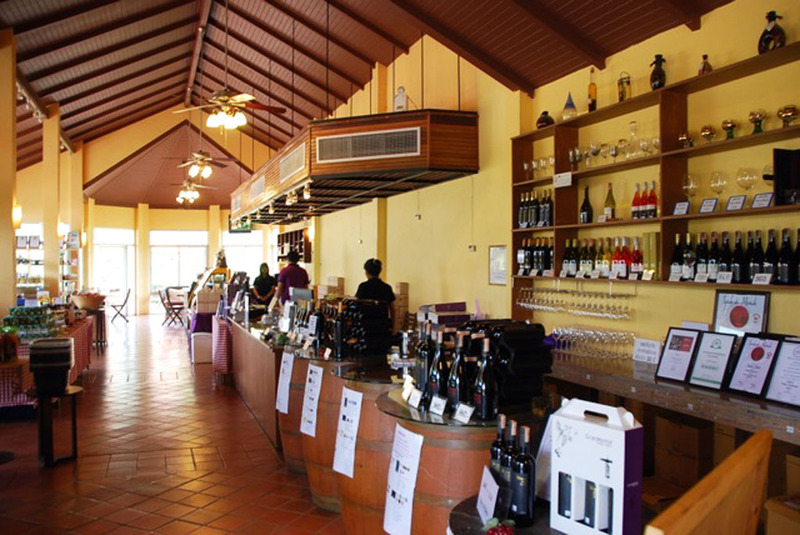 Tours are held three times a day, and include wine tasting at a cost 270 baht per adult. Julie Miller has been a regular visitor to Thailand since 2006, during which time she has developed a deep appreciation of the intricacies of the country. In 2010, Julie was awarded a coveted Friends of Thailand Award for services promoting tourism to Thailand through travel journalism. hi Julie, i enjoyed reading your article re GranMonte . ! great info as i live in Sydney & recently purchased a bottle whilst in Bangkok of the Granmonte Heritage Syrah 2016. We opened it back home in Sydney & loved it !!! do you know if we can purchase this wine here in Sydney or do they ship to Sydney ? And do let us know if you find a Sydney supplier!